and also one of the wettest. to see a wide diversity of native flora and fauna. to hear a wide diversity of native phrases and sayings. to supply Birmingham and mid Wales. piss it all back in our lay-bys and friendly visitor centre. from the ravages of the 20th century. are what visitors come to enjoy. in these times of rapid change. to hold its own devolved assembly. that migrate seasonally across the uplands. for their distinctive mating calls all year round! by a herd of retired volunteers. in the year 82 P.S. The Elan has been kept for quiet enjoyment. The Elan has been kept quiet for enjoyment. Do nothing to pollute the water. No swimming, boating or camping is allowed. and alert the proper authorities. ​On 14 December 2015, I went on a fascinating journey to one of the remotest parts of Wales with two lecturers from the Department of Geography and Earth Sciences at Aberystwyth University, Stephen Tooth and Hywel Griffiths, and three other intrepid explorers - Dewi Roberts, Gavin Goodwin (Department of English and Creative Writing) and Tyler Keevil (Creative Writing at Gloucester University). 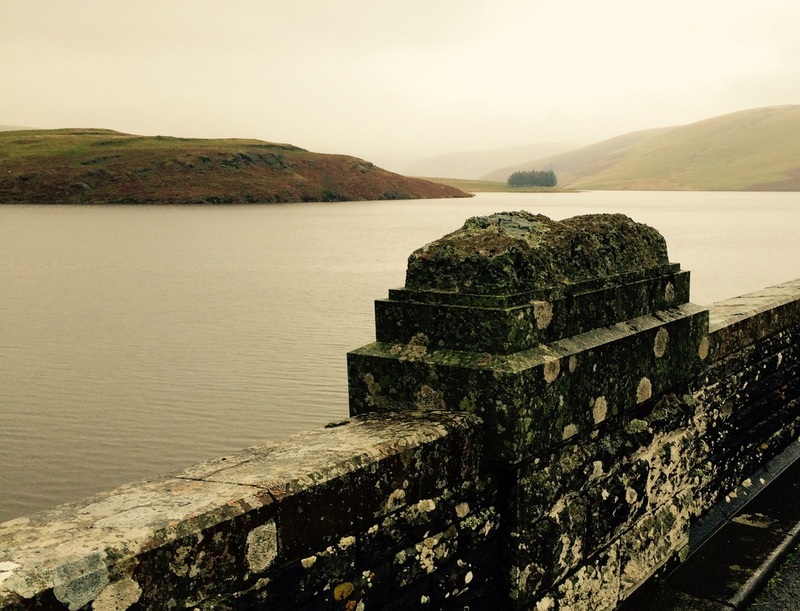 We hopped into a minibus, braved the winter chill and headed for the mountains of mid Wales - known loosely in English as the Cambrian Mountains, or Yr Elenydd in Welsh. I've lived in Wales all my life and travelled the country extensively, yet I'm constantly reminded of this seemingly small nation's ability to conceal its true magnitude. It took us less than an hour to reach the mountains, but it might have well been five hours away through wind and rain. 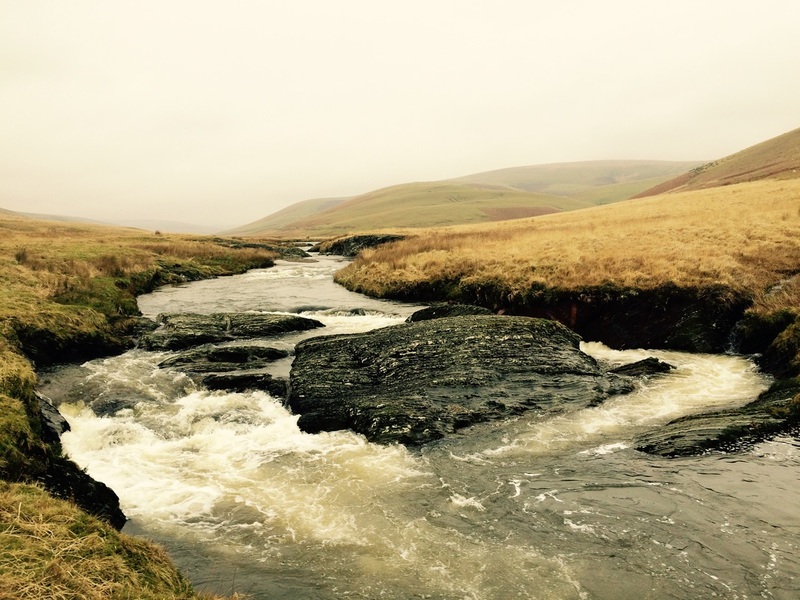 We were dam-watching, following the course of the river Elan as it tumbled from reservoir to reservoir down to the lowlands and on to the river Wye. This performance piece (one of two poems written for the symposium) was inspired by some of the tourist information boards we saw on our journey, as well as the panels that informed exhibitions at the surprisingly spacious visitor centre. These seemingly casual and informative texts offered a pleasing view of the Elan Valley that, upon closer inspection, seemed to frame man's interaction with the landscape in often vacuous or deceptive terms, both environmentally and politically. For example, the emphasis was often on the seemingly unspoilt, virginal nature of the area, a claim vigorously countered by the geographers in our group, who pointed out at every turn how man's activities had long since changed the landscape irreversibly. Large chunks of my poem - a parody of sorts on these spurious texts - were taken en masse from the information boards. Their words could easily inform dozens of poems. The poem was read at the symposium in January, alongside poems by Hywel and Gavin and a short story by Tyler. Clicia fan hyn i weld cerdd Gymraeg a luniwyd ar gyfer yr un achlysur.